Presenting two new bodies of abstract work by Portland artist Kelly Saxton: oil paintings and smaller mixed media pieces. With titles like “Weed Ball,” the lush canvases seem to burrow into a mess of wild plant matter. 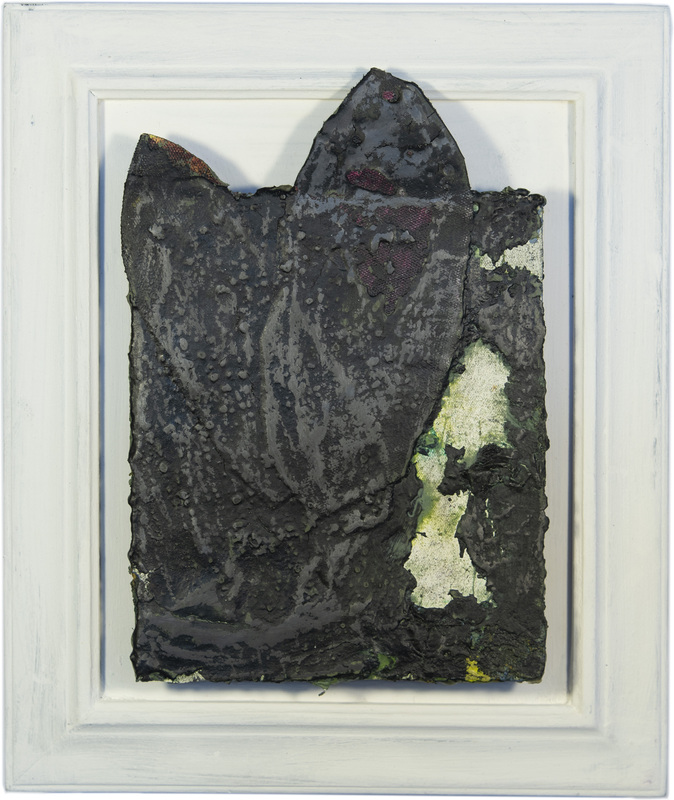 By contrast, her “sculptural drawings” are built up with layers of heavy black paint, paper, wood, cloth and other materials. Many of them reference bark and have the quality of dense accretions revealing underlays of lichen-like greens and reds. 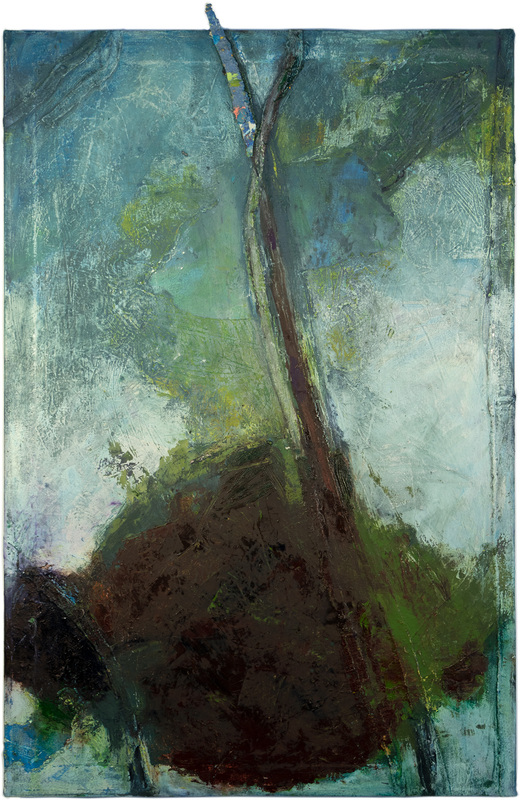 Saxton’s practice has developed through observing the constant subtle changes within the Northwest landscape–changes that metamorphose through growth, bloom and gradual decline. Her tactile and layered works embody the passage of time, in the observation and art making processes and through the arc of days, passing weather and seasons.